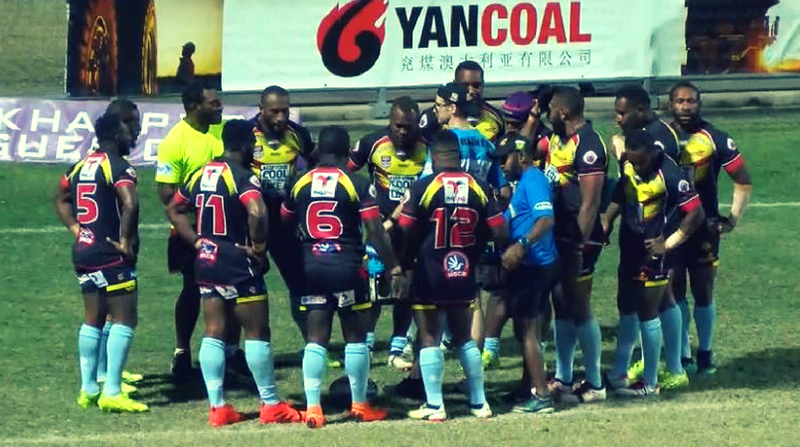 The SP PNG Hunters final hopes were ruined by desperate Central Queensland Caprass outfit with 38 - 22 thumping on Saturday evening at Browne Park. The Ispwich Jets now take the 6th spot after the belted the Norths Devils 22 - 14 this afternoon. Trailing 28-10 at the break, the Hunters fought hard in the second half to reduce the deficit; but poor defence allowed the home side to capitalise and end their season on a high. Both Chanel Seigafo and Bill Cullen crossed for two tries apiece for the Capras, while Connor Broadhurst was successful with five out of six conversion attempts and also piloted over two penalty goals. 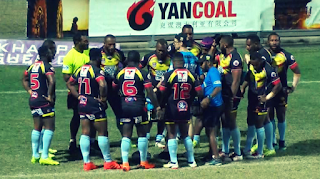 Marum was left to lament a poor effort in defence; something that had previously gotten the Hunters into a position to press for a finals berth after an inconsistent start to the season. "Our goal line defence was terrible,” he said. “In the end, they played as team and we didn't. “It was a disappointing loss." The lose show the defending champions bow out for the season.